Women in Bahrain: Dr. Fatima Haji .... In solitary confinement. We hope to defend women in Bahrain society, their woman rights, their wellbeing, their prosperity, etc. 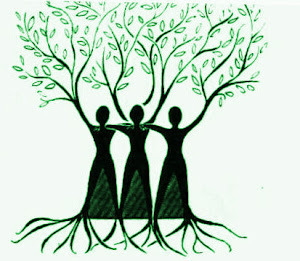 We belive in supporting women to their full rights in their society. Dr. Nada Dhaif ... The kidnapped Bahraini doctor. Dr. Fatima Haji .... In solitary confinement. 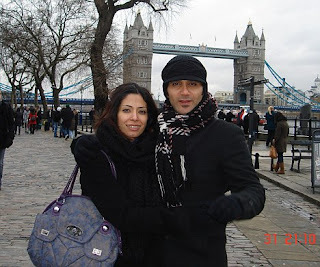 Flash Back of Jalila Al-Salman's life. Dr. Farida Al-Dalal ….. The horrific night. Dr. Fatima Haji, Rheumatologist. She was arrested from her house after being attacked by police, on April 17th, at 9 PM. Her only crime was treating the injured as they were brought to hospital during the riots that engulfed the kingdom of Bahrain. For this offence, Dr Fatima Haji was dragged out of her house at midnight by 30 plain-clothes police officers brandishing guns. And she was kept in solitary confinement for another 22 days, before being released on bail. Now the 33-year-old doctor has been sentenced (BY A special military tribunal) to five years in jail. Though not yet imprisoned, she waits anxiously for government forces to drag her away at any moment. Bahraini medical doctor and mother Fatima Haji is being sentenced to jail. 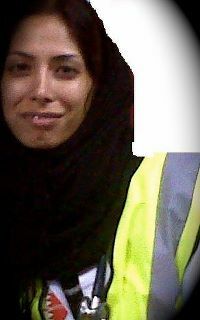 Fatima faces years in prison because she treated injured people at the Salmaniya Medical Complex in Bahrain. She was performing her ethical duties as a doctor, healing the sick and wounded, but has been charged with, "incitement to overthrow the regime." Further, she is being sentenced by Bahrain's military court, which does not meet with international prosecution standards, breaching those set forth in the Universal Declaration of Human Rights regularly. US Secretary of State Clinton, stand with her now, and stand with all detained Bahraini medics who have, like her, only been serving the many needs of humanity. We sincerely request that you exemplify America's belief in standing-up for people like Fatima. Please contact Bahrain's military court on Fatima's behalf and send our collective plea that she, and all medics similarly involved, be granted clemency from these unacceptable jail sentences immediately. Further convictions made against medical staff for helping injured protesters. Bahrain Youth Society for Human Rights (BYSHR) expresses deep concern at the harsh sentences against to 20 Medical Staff. The United Nations condemned today prison sentences of up to 15 years handed down by a Bahrain military court this week to 20 medics who treated protesters during pro-democracy unrest in the Gulf Arab state. The doctors and nurses, who had been released in June and September on bail after international pressure over the case, said they were waiting for a police order to head back to jail after they were sentenced yesterday. 2 - BBC broadcast: Victoria spoke to Dr Nada Dhaif who's been sentenced to 15 years and Dr Fatima Haji who's been sentenced to five years…. 3 - BBC: Bahraini doctor: "I'm not going to tell my 3 year old son: mama is going to jail"
(BBC): A court in Bahrain has jailed 20 medics who treated protesters to up to 15 years each, after convicting them of incitement to overthrow the regime. They looked after people who were injured when a protest calling for more rights for the country's Shia majority in the Sunni-ruled kingdom was crushed. One of the doctors charged, Fatima Haji, has recorded a video message for her son in which she maintained her innocence. 4 – CNN: Two doctors jailed in Bahrain after being convicted of trying to overthrow the government tell CNN of their plight. Dublin, Ireland, September 29, 2011 – Front Line Defenders condemns in the strongest terms the sentencing today by the Bahrain National Safety Court of First Instance of 20 medical staff to prison sentences ranging from 5 to 15 years following a deeply flawed and unfair trial. Among those sentenced are Dr. Ali Al Ekri, Dr. Bassim Dhaif, and Dr. Ghassan Dhaif all of whom were trained at the Royal College of Surgeons in Ireland and received 15-year sentences. Among those receiving 5-year prison sentences were Dr. Zahra Al-Sammak, who also trained in Dublin; Dr. Fatima Haji, who was a lecturer at the RCSI campus in Bahrain; and Ms. Rola Al-Saffar, President of the Bahrain Nursing Society. As of today, September 29, 2011, 20 of the Bahraini health professionals who were previously detained and accused of felony have been sentenced to up to 15 years imprisonment. We do not know at this time when the imprisonment will actually begin. BAHRAIN JAILED 20 doctors yesterday, including six associated with the Royal College of Surgeons in Ireland (RCSI), on charges relating to unrest in the Gulf kingdom earlier this year. The doctors were sentenced to between five and 15 years on charges of stealing medicine, stockpiling weapons and occupying a hospital. The verdict was met with outrage by campaigners for the Irish-trained doctors. RCSI-trained doctors Dr Ali al- Ekri, Dr Bassam Dhaif, and Dr Ghassan Dhaif received 15-year sentences. Dr Zahra al-Sammak, who also trained in Dublin, Dr Fatima Haji, who was a lecturer at the RCSI campus in Bahrain, and Rola al-Saffar, president of the Bahrain nursing society, received five-year sentences for allegedly being involved in the riots. It is time to take a stand and support women all over the world, after all they are either your mother, lover, wife, sister, friend, colleague, etc. or they are not, and this means that you are not human being.